Frank Catalano is a veteran edtech industry consultant and executive, professional author, and lively speaker. He’s also a hands-on advisor for companies applying digital technology in new ways. 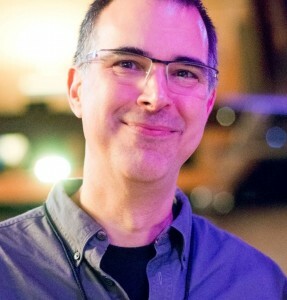 Through Frank’s Intrinsic Strategy consultancy, he has done interim executive or project work for companies such as MetaMetrics, GreaterGood.com, Peachjar, ACT, Pearson, and more. Frank has been a senior executive for Pearson Education, West Corporation’s Education group (SchoolMessenger solutions), and Professional Examination Service, among others. As a frequent contributor to the tech news site GeekWire, Frank has written about edtech, the digital intersection of media and tech, and other topics. He’s also hosted a special GeekWire podcast series on pop culture, science fiction and the arts. For more background, see About or Frank’s LinkedIn profile. Returning to journalism, 30 years later: Can the profession’s standards survive its disruption? Analysis: Microsoft, Google, Apple — why is Amazon the lagging tech giant in the classroom? in earlier work for the NPR/KQED education site MindShift, the edtech news site EdSurge, and the tech news site TechFlash. He currently serves on ACTNext‘s Advisory Board. He also served on the Advisory Board of SXSWedu from 2012 to 2016 and was on the Advisory Board for the inaugural SXSWV2V. Frank Catalano is a frequent public speaker, known for his engaging, witty and thoughtful style. Recent talks include the tech products thought leader kickoff at NACS Campus Market Expo (CAMEX) 2019 conference in San Antonio, a presentation on teens and tech at CoSN 2019 in Portland, the Seattle Opera behind-the-scenes panel on turning Steve Jobs’ life into opera, and expert interviews and moderation of private company events. You can follow @FrankCatalano on Twitter for updates on interesting education and crossover consumer technology.